In this article, we will discuss two important methods of Levelling. We will also study these Methods with the help of Numerical Examples in our successive articles. This method is simple and easy. Reduction of levels is easy. Visualization is not necessary regarding the nature of the ground. This method is generally used where more number of readings can be taken with less number of change points for constructional work and profile levellings. It is the method of land surveying in which only linear measurements are made. Chain surveying requires chain, tape and ranging rods. Chain surveying is not suitable for large areas having many details. (The term “details” means a natural or manmade features at or near the ground surface). Hard details include buildings, roads, walls etc. Soft details include river, vegetation, trees etc. Overhead details include power and telephone lines. Underground details include survey of water mains, sewer etc. A triangle is a simple figure which can be plotted from the lengths of three sides even if the angles are not known. 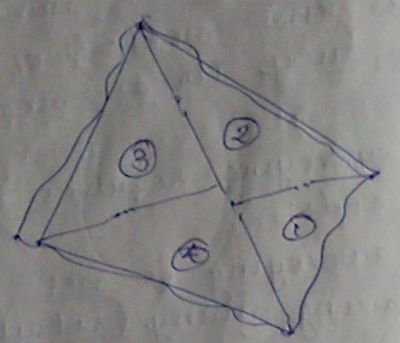 In chain survey, the area to be surveyed is divided into a framework consisting of triangles. The deflection of a magnetic needle from its true position due to the presence of magnetic influencing material such as iron ore, magnetic rock, underground pipeline, electric cables, iron pipes, electric poles in its vicinity is called “Local Attraction”. In this method, the included angles of the traverse are calculated first, then starting from the line which is unaffected by local attraction and using the included angles, the corrected bearings of the traverse are computed. In this method, the direction and the amount of local attraction at each survey station is determined. Then starting from the line which is unaffected by local attraction, the corrected bearing of the traverse are computed. This method is more accurate than the included angle method. Hence it is adopted by most of the surveyors.